The 2ND FINTECH SUMMIT, in association with the Dubai Financial Services Authority (DFSA), will bring together BFSI decision makers that want to win in their industry by digitising processes, securing critical assets, analysing data and making tactical decisions. Naseba has been working with the BFSI industry since 2003, and has recognised the tremendous shift in business models and consumer attitudes driven by technology. The summit is a culmination of this experience and will deliver actionable solutions to business, strategic, and technological needs of BFSI enterprises. While the MENA region remains a technologically sophisticated BFSI market, many financial organisations are still missing the digital innovations that are radically changing business models and redefining customer experiences. The summit will facilitate knowledge sharing, high-level networking, and most importantly, pre-scheduled one-to-one business meetings between BFSI leaders and top-tier solution providers who are ready to transform the digital future of BFSI enterprises in the region. Following the vision of His Highness Sheikh Mohammed bin Rashid Al Maktoum, Vice-President and Prime Minister of the UAE and Ruler of Dubai to make the Emirate as the smartest and happiest city, the government of Dubai has implemented several innovative programs and smart city services, under the key dimensions of Smart Economy, Smart Living, Smart Mobility, Smart Governance, Smart Environment and Smart People. The 4th Annual Arab Future Cities Summit will be held under the patronage of the Ministry of Infrastructure Development, on 30thand 31st October, 2017 in Dubai will emphasize on the future opportunities and evolving technologies to counter the challenges faced and achieve the city’s ambitions in being one of the world’s most connected and sustainable “Smart Cities” – in time for Expo 2020. Banking is being transformed by powerful forces. Digitalisation, demanding customers, competition from unexpected quarters, cyber attacks and constantly evolving regulation. Banks that fail to adapt quickly to these trends will be left behind, or perhaps even fail. But those that embrace change by re-writing their strategies and implementing new operating models will open up a whole new world of opportunity. Senior executives from banks in the region and further afield – as well as financial regulators, consultants and others – will come together to discuss the major challenges the industry faces. Through keynote addresses, panel sessions and on-stage interviews, our speakers and panellists will explain how those challenges can be harnessed to profitable effect. Delegates will have the chance to ask questions during the Q&A sessions, and have plenty of time to network during morning registration, the refreshments break and lunch. If you want to know how banking is being disrupted, and the risks and benefits it is creating, join us in Abu Dhabi on 22 November. How can banks better manage one of the costliest and most troublesome activities – complying with regulations? With FinTech taking the region by storm, RegTech (regulatory technology) has emerged as a separate industry sector from FinTech as regulatory compliance is time-consuming and expensive for both financial institutions and regulators – and it’s only going to get worse! RegTech solutions try to address these challenges and are expected to go through a significant transformation under the effect of new technologies such as artificial intelligence, block chain, big data analytics, biometrics and more. RegTech MENA, held on 5 of December 2017 Dubai, will provide a comprehensive understanding of the drivers behind the rapid rise of RegTech, what RegTech means for financial institutions today, and how the sector is likely to develop. It will provide essential learning for any company looking at the RegTech space as a way to manage their regulatory compliance tasks and reduce operational risks while saving money and time. Continuously evolving technologies are continuing to change the way we live, the way we interact with one another, and the way we operate our businesses. This fact is unquestionable. Corporate enterprises today do not typically ignore the latest technological trends entering their sphere. But how swift they are to adapt, respond and manage these trends by flexing their strategies an area worth exploring. With InsurTech focusing on a consumer centric approach to the challenges faced by the insurance sector, riding on the strength of big data, artificial intelligence and machine learning, the time is now for evaluating InsurTech and its short and long-term impact on the insurance market. InsurTech MENA will provide a forum for examining these challenges, and their counter oppurtunities too, arising from the interplay of the latest disruptive technologies,the regulatory regimes governing the regional markets, and the new entrants into the InsurTech space. It will also provide a platform for the insurance market to meet with the technology companies that are reshaping the industry’s operating landscape. Capitalization of the crypto-currency market has approached the $ 100 billion mark in 2017. The industry has been developing more rapidly than the boldest forecasts predicted. The Blockchain technology has already conquered not only the financial and banking spheres. It has started to spread its roots in medicine, insurance, document circulation, solar, etc. Blockchain Conference Abu Dhabi creates a platform for the exchange of knowledge, experience and success in the field of the Blockchain technology application in the modern Middle East world. The conference will open its doors for your future customers, partners and contractors only for one day on December 7, 2017. Join Blockchain Conference Abu Dhabi to create our future today! Get 10% off with code "BCAD-10"
MEFTECH Riyadh is the largest and most prestigious event that convenes the entire financial services community in the Kingdom. Featuring an industry-leading conference, an boutique exhibition and high-level networking opportunities. MEFTECH Riyadh is the definitive platform where top decision-makers share insights with technology providers and collaborate to rethink the banking & financial services landscape in the Kingdom. Over the history of MEFTECH it has brought together more than 8,000 financial industry executives and over 1,000 technology providers to meet, network and do business. Building upon this rich pedigree of success, MEFTECH is being relaunched this year with a host of new features. The new-look MEFTECH will continue to bring new ideas, new inspiration and game-changing solutions to serve a US$13 billion per annum regional financial technology market. WORLD-CLASS CONFERENCE PROGRAMME: MEFTECH Riyadh will deliver a conference with a mix of keynotes, case studies and live demos. The conference will present insights and inspiration from the individuals driving change in the financial services landscape in the Kingdom of Saudi Arabia. THE INNOVATION THEATRE: Designed to offer exhibitors an opportunity to share perspectives and to establish their thought leadership; presentations will focus on the key challenges and pain points of the banks, and actionable strategies to address them. EXCLUSIVE NETWORKING OPPORTUNITIES: Be part of a limited number of 20 companies allowed to attend and present at MEFTECH in Riyadh. Al-Iktissad-Wal-Aamal Co. with the sponsorship of Smart Dubai Office, Dubai’s government entity leading the Smart City transformation with the higher aim of achieving happiness, and in cooperation with UAE Bank Federation will be organizing the “UNLOCK” Blockchain: the Future of Sharing Economy to be held at Ritz Carlton DIFC in Dubai UAE from 14th of January until 15th of January 2018. The event will bring together more than 400 attendees from across the MENA region and parts of Asia. FinTech Conference & Exhibition 2018 Dubai is being organized by World Finance Council in association with International Excellence Forum, Inc. (San Jose, USA). The conference is scheduled to begin on January 24, 2018 at Radisson Blu Hotel Dubai Deira Creek. The Conference & Exhibition is expected to be attended by 300+ FinTech Professionals & Experts from more than 50 countries. The FinTech Dubai Conference & Exhibition is expected to witness 20+ demonstrations, 40+ exhibitions and 16 panel discussions. The Conference & Exhibition will run for two days starting from January 24, 2018 till January 25, 2018. The conference agenda is divided into 8 sessions with two panel discussion in each session. The sessions on Day 1 include Emerging Payment Rails, Cashless World, New Market Platforms and RegTechs. Further, the sessions on Day 2 include Alternative Finance, InsurTechs, Digital Banks and Blockchain & Bitcoins. The Financial Technology Summit & Meetings, now in it’s 12th edition, is the foremost exclusive, by-invitation only summit dedicated to the CIOs & CxOs of the Banking & Financial sectors in Middle East. 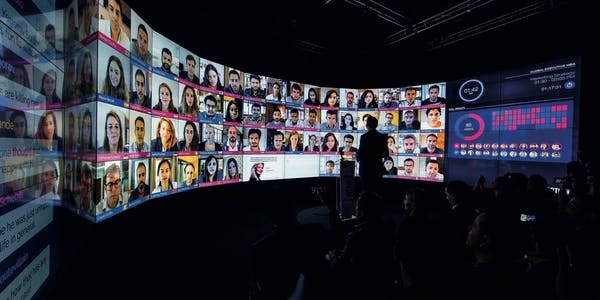 Every year the FT Summit attracts the Business & IT decision makers of the top 100 Arab Banks & Financial Institutions from UAE, Saudi Arabia, Kuwait, Bahrain, Oman and Egypt to discuss how technology can turn strategic vision into reality. FT Summit brings the latest Business & ICT trends for an in-depth discussion and features the industry thought leaders from Academia, Banking ,Consulting & IT vendors.Leading IT vendors have chosen to sponsor FT Summit including Oracle, EMC, Wipro, BT, CA, Kaspersky, Xerox, Juniper, Cisco, Avaya and Cognizant to name a few. What happens when technology fundamentally changes the way a whole industry operates? 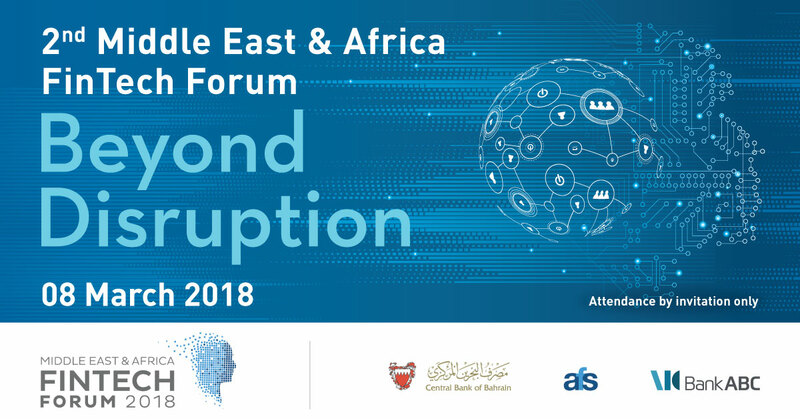 The emergence and application of FinTech within the last five years has been unprecedented, and as enablers of financial innovation in the region, AFS is hosting, with the support of Bank ABC, the second Middle East & Africa FinTech Forum under the theme Beyond Disruption, to delve into issues of the moment such as Crypto Currencies, Artificial Intelligence, Challenger Banks and Financial inclusion. The event will host 350 invited delegates under the patronage of H.E. Rasheed Al Maraj, Governor of the Central Bank of Bahrain, who will also give the opening address. The dynamic theme has attracted some of the leading global names in FinTech; industry experts who will debate how larger banks need to innovate and expand their business through the use of new technologies. As well as in-depth presentations by these internationally-regarded speakers, there is also a series of engaging group discussions, Q&A sessions, and workshops. BII Summit is the largest event of its kind in the region. This business driven event attracts over 1200 delegates globally and remains the only Blockchain event in the Middle East which focuses on case-study based presentations in ongoing and upcoming Blockchain based projects. It is with no surprise that the world (as we know it) is changing drastically with rapid improvements been achieved in Blockchain innovation. This has inspired several government entities to embark on Blockchain technology based projects. The Dubai Government has yet again set the trail by implementing the Dubai Blockchain Strategy 2020, an initiative which is deemed to usher in economic opportunity for all sectors in the city. At the Blockchain Innovation and Investment Summit, all participants get to experience a unique platform as they listen to experts from leading Blockchain companies around the globe on an event format which drives unmatchable business development opportunities. Innovation, Usability and Customer Adoption, Cyber-security, E-Payments Infrastructure & Regulation, Technological disruption and Innovation in the payment landscape. The summit will present a range of speaker sessions. Through this, participants are given the opportunity to meet with innovators offering business solutions that help companies to reduce costs and improving efficiency and integrity. Seamless has separate conference agendas covering the world of Payments, Fintech , Ecommerce, and Retail . With one shared free-to-attend exhibition hosting 300 of the region's leading technology providers. Seamless payments will bring together the entire payments eco-system to discuss, debate and evaluate alternative payment strategies and technologies. 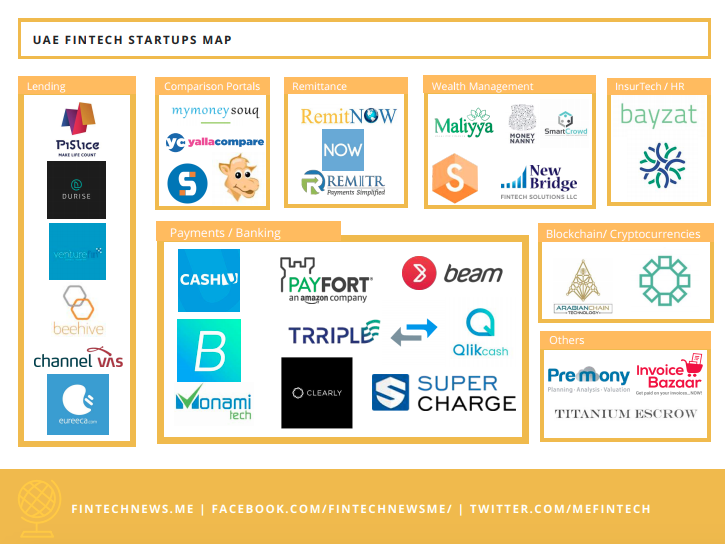 Seamless Fintech will assess disrupting technology for all verticals of the financial ecosystem. Seamless e-commerce is a catalyst for e-commerce growth across the Middle East, North Africa, Central Asia and South Asia. Join visionary leaders, economic pioneers and enterprising investors from around the world as they discuss the future of our financial world at Keynote’s newest and most exclusive event – WBF: WORLD BLOCKCHAIN FORUM. Held at Jumeirah Mina A’Salam, this two-day conference delves into the innovative possibilities of blockchain and disruptive technologies, provides an introduction to ICOs (the funding model behind some of the most extraordinary capital raises of 2017) and looks at the transformative impact of cryptocurrencies on the global financial landscape. Click here to find out more about World Blockchain Forum: Investments & ICOs 2018. 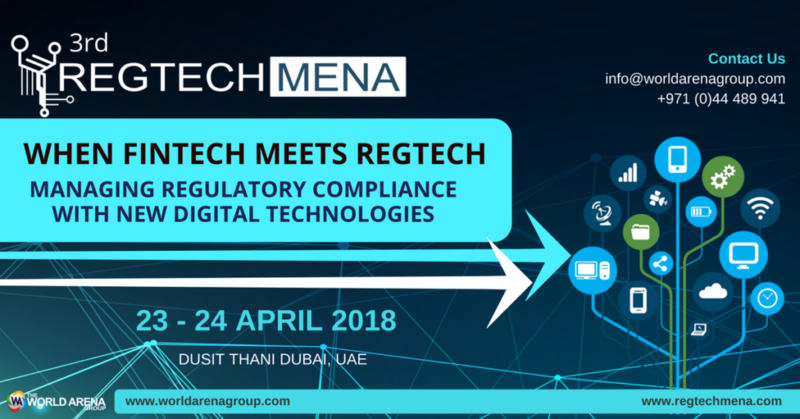 REGTECH MENA, held on 23 and 24 April 2018 in Dubai, will provide a comprehensive understanding of the drivers behind the rapid rise of RegTech, what RegTech means for financial institutions today, and how the sector is likely to develop. It will provide essential learning for any company looking at the RegTech space as a way to manage their regulatory compliance tasks and reduce operational risks while saving money and time. 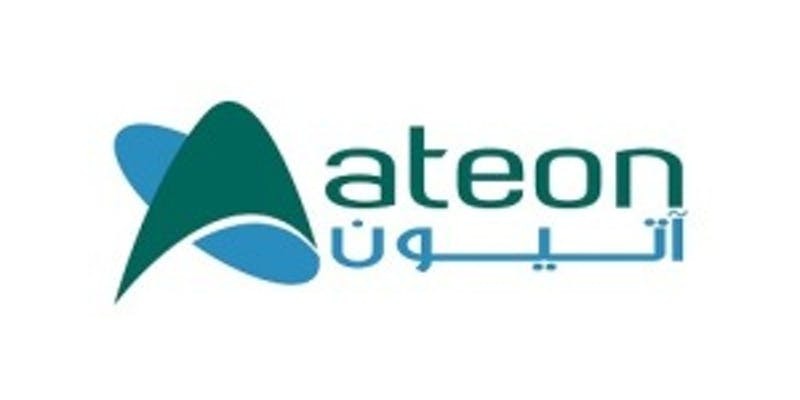 Introducing Saudi Arabia’s very first blockchain event, Decoding Blockchain KSA 2018, coming to you this April in Riyadh || Mohammed Alsehli, Founder of ArabianChain Technology, and chairman of Decoding Blockchain KSA 2018 confirmed as one of the keynote speakers || The event covers various industries such as Banking and Finance, Government Services, Healthcare, Energy and Utilities, Retail, Telecom, Transportation and Smart Cities. The financial services industry in the Middle East and Africa is projected to grow at an exceptional rate as stability and improvement are set to be the theme of 2018, regardless of political instabilities and uncertainties within the region. The retail banking sector in particular is showing lots of potential. What is really a defining this industry and considered to be the main focus of innovation strategies of banks is a customer who became used to the advanced technologies and the new virtual reality, leading him to demand more in an era where everything has become digitized. Recognised as the most notable expression of Islamic philanthropy, waqf is the voluntary, permanent and irrevocable dedication of a portion of one’s wealth – in cash or kind - to Allah. Standing out as one of the greatest achievements of Islamic civilization, waqf is a philanthropic foundation, with the mission of maximizing the value of endowments. It is for this reason, FINTERRA is organising the International Waqf & Blockchain Forum to showcase new opportunities and possibilities available through the use of blockchain technology to facilitate in the development and sustainability of Waqf. With the theme of “Harnessing the Power of Blockchain technology for the Global Development of Waqf”, this forum will serve as a platform to explore the boundaries of new waqf developments and initiatives. It will shed light on new thoughts and ideas, in the quest for transformation and management of a sustainable socio-economic path for Muslim nations across the entire globe. The overall objective of International Waqf and Blockchain Forum 2018 is to establish clarity and a collective understanding of the potential of blockchain technology for supporting the facilitation and development of waqf on a global scale whilst also promoting new economy alternatives to enhance Muslim unity. The Global Blockchain Conference is a gathering of experts from around the world sharing knowledge, tips, trends and insights about Blockchain, a breakthrough technology that enables the trusted digital registration & exchange of just about anything. It will be a chance for the newcomer to learn the history and basics of this emerging technology, and for the familiar to learn more about its current and future applications. Money, music, health records, car titles, certificates, company ownership, deeds, & digital identities are just a few options. The format will be less traditional than a typical conference. There will be large group presentations, small group lectures, lightning round discussions as well as time to interact with others in the field. Global Blockchain Conference offers unique networking opportunities for attendees to connect with industry leaders and innovators who are looking to explore the distributed ledger technology. Region. Over the years MEFTECH has brought together more than 8,000 financial industry executives and over 1,000 technology providers in Bahrain, Dubai & Abu Dhabi. Building upon this rich pedigree of success, “MEFTECH Payments” will launch on the 9 May 2018 in Riyadh, The Kingdom of Saudi Arabia. MEFTECH Payments in partnership with mada & SADAD will highlight and support the rapidly developing Payments, e-commerce & retail industry in the Kingdom. MEFTECH Payments will bring new ideas, and industry-changing technologies together that will pave the way to the future methods used by banks, institutions, and individuals make, and receive payments in the Kingdom of Saudi Arabia. Attendees from Banks, Government Departments, Financial Institutions, Enterprises – large and small will come together to share knowledge, network, and do business. The organising partners of the Fintech Awards Luxembourg have opened applications for the 2018 edition of the competition. 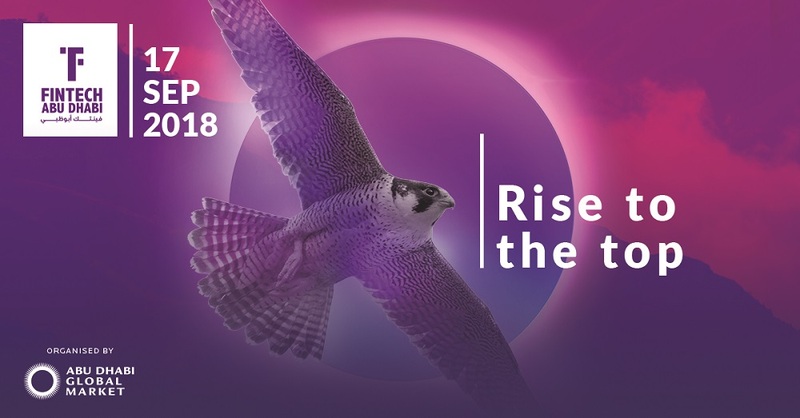 Rising stars from the fintech startup universe are invited to apply for several prizes and the chance to build their networks and credibility with senior decision-makers and CEOs from the Luxembourg financial services community. This represents real and tangible opportunities for them to acquire new clients for their solutions and businesses. Applications for the Awards opened on 1 March and will close on 1 May. Fifteen startups will then be selected to go through to Competition Day on 20 June, where they will be whittled down to seven finalists who will compete to be Fintech Startup of the Year. Prizes will also go to the first and second runner ups. The winners will be announced during the awards ceremony and after-party on the KPMG Plage beach in Luxembourg on 20 June in the presence of the Luxembourg Prime Minister Xavier Bettel and Luxembourg Finance Minister Pierre Gramegna. The startups will be competing for prizes designed to help them grow and develop their company in Luxembourg. Prizes include €50,000; four months of hosting at the Technoport (coworking space in Luxembourg); 10 free consulting hours from KPMG; and a free LHoFT membership including six months of hosting at the LHoFT Fintech hub. The Awards are organised by the LHoFT and KPMG Luxembourg, in collaboration with Digital Lëtzebuerg, the Luxembourg ICT Cluster, LuxInnovation, and Maison Moderne. 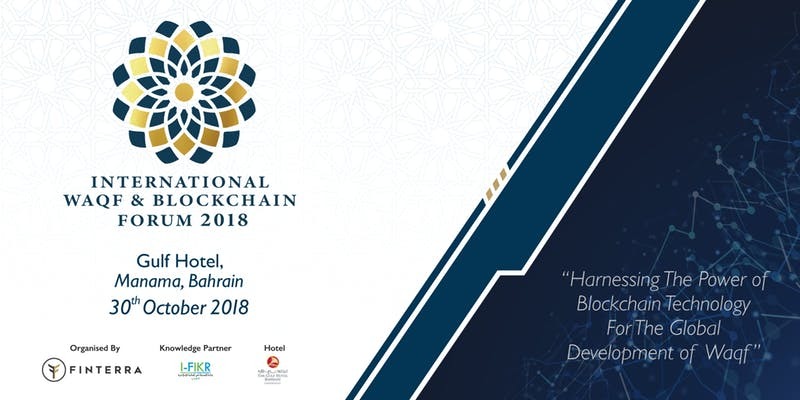 This Event will bring together the Key Stakeholders working in Diverse fields creating an exciting Cross-Industry Pollination of Ideas and Approaches that will yield New Insights and explore even more New Opportunities for Growth and more importantly help in shaping the Future Blockchain Technology Policies for the Middle Eastern organizations. The Main Goal of this Forum is to create an accessible and a much more Diverse, Policy-oriented Platform where Business and Government Leaders can learn how Blockchain could impact their Organizations and Economies, and how they can seize the Opportunity it offers for their Organizations or Economy and reap the maximum benefits this budding Technology has to offer. 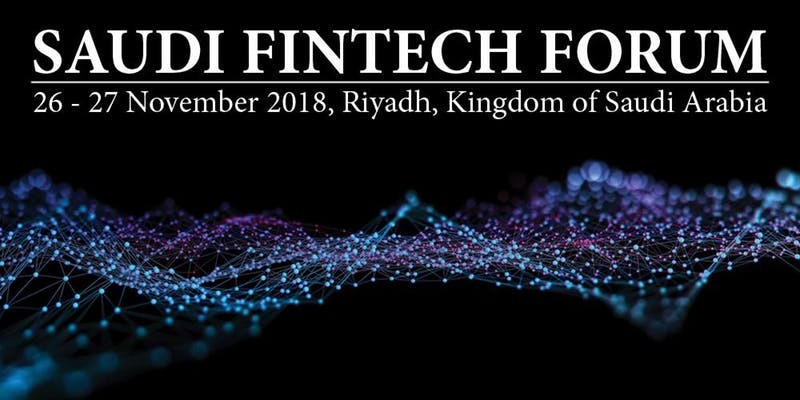 FinTech Abu Dhabi 2018 is an event which brings together global and local financial institutions, FinTech start-ups, investors, regulatory agencies and the business community to network, collaborates and exchange expertise and knowledge in FinTech developments in Abu Dhabi, the wider MENA region and internationally. 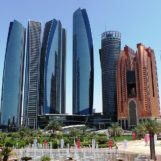 The event is exclusively organized and curated by Abu Dhabi Global Market (ADGM), the award-winning international financial centre in Abu Dhabi. The banking industry is undergoing a phenomenal transformation, overcoming traditional processes and legacy systems, to implement innovative and disruptive technologies that will ultimately revolutionize the sector as we know it – both globally and in the GCC region. The 8th Annual Middle East Banking Innovation Summit, taking place on 17-18 September 2018 at Dubai will explore the emerging technologies, developments and trends, as well as the new opportunities arising for financial institutions throughout the UAE. Over the last seven years, the Middle East Banking Innovation Summit has emerged as the largest platform in the region for banking technology, and is the only event that brings together over 450 senior industry experts and leaders to discuss the future of banking. On the day before the annual Euromoney Kuwait Conference, we will offer a Euromoney Learning half day workshop, giving an introduction to Fintech for senior executives and board members. Our fantastic trainer, Hadyn Jones, has a unique investment banking, IT and regulatory background and a great ability to demystify complex subjects such as distributed ledgers or payment systems. The purpose of the session is to present the origins of the FinTech movement and explain why it is different from other purely technology trends. In particular, as an ‘explosion’ of ideas, FinTech represents a potent disruptor to the traditional financial platforms, and therefore, the question of how best to most effectively leverage it, will be addressed. Some of the cases studies covered will include m-Pesa - Payments, Saudi Monetary Authority - Ripple Payments, Mizuho - AI Compliance, , Gamification - Spark Profit, CITI Bank - Digital Banking. Importantly, the session will discuss the role of the sandbox, and how your own organisation can make use of them as part of your own FinTech journey. The Fintech: A Land Of Opportunities masterclass, on October 8, will explore some of Fintech major trends globally, from three main points of view: technology, “smart” investment, and career opportunities. The event aims to examine the new technologies, such as big data, artificial intelligence (AI), blockchain, cybersecurity, the cloud, mobile networks and Internet-of-Things (IoT), and new business models that are transforming the financial landscape. 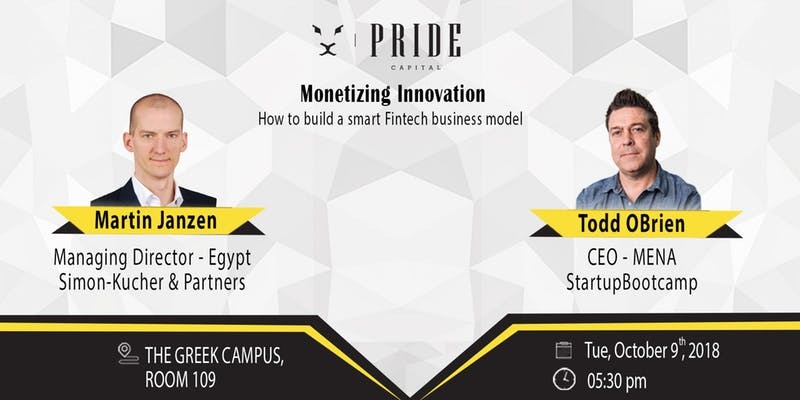 Monetizing Innovation will see Martin Janzen, CEO of Simon-Kucher & partners (Egypt), and Todd O’Brien, CEO for the Middle East and North Africa (MENA) region of Startupbootcamp, answer the dazzling question: how to build a fintech smart business model in the digital age. 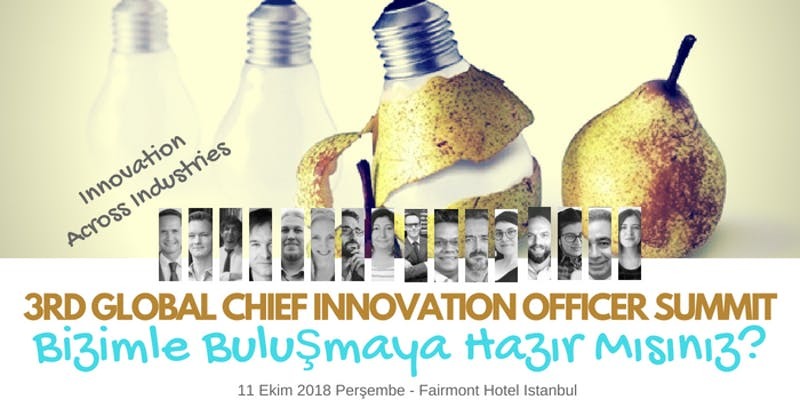 The 3rd Global Chief Innovation Officer Summit will feature presentations, panel discussions and workshops exploring the impact of innovation across all industries, including financial services. Topics will include blockchain, AI, and more. Confirmed speakers include executives representing the likes of Medici, Swisscom, Bloomberg, and more. This is the 1st ever Pan- African Conference specifically focused on Women working in FinTech (Payments). The conference will bring together women from all over Africa for a full day event. The conference will feature interactive panels, deep-dive workshops, and plenary sessions with industry female leaders. All tribes will convene in Nairobi for a full day of networking, sharing, meeting, learning and an opportunity to build such relationships which are so important for development on personal and professional level. This is not just any other event. This is the 1st ever Pan- African Conference specifically focused on Women working in FinTech (Payments). The conference will bring together women from all over Africa for a full day event. The conference will feature interactive panels, deep-dive workshops, and plenary sessions with industry female leaders. Financial technology (FinTech) has evolved into a powerful global movement that has brought together entrepreneurs, technology giants and big banks to develop ideas and innovations that can harness the power of the digital age to create better, sustainable financial services for a wider, community more diverse for generations to come. FinTech leverages the explosion of big data of individuals and firms, advances in Artificial Intelligence, Computing Capabilities, Robotic Process Automation (RPA), Distributed Ledgers and Cloud Technologies, Cryptography and many more disruptive innovations, which till recent years were hard to comprehend. The consolidation of decentralized technologies such as Blockchain together with the various FinTech business models that exist today make the financial sector has to reinvent itself more than ever. A new economy decentralized is coming and will forever change the current financial services. Fintech technologies are creating space for an impressive array of new applications touching on services from payments to financing, better investment decisions through advanced analytics or reduced costs through improved post-trade processing platforms, asset management, insurance, regulatory oversight, audit and advice. Technological innovations may emerge as competitive alternatives to traditional financial market participants, market architecture and infrastructures. Kuwait Fintech Conference & Exhibition will attract, in a two full-day event, senior financial, banking and technology executives, government leaders, expert analysts, innovative entrepreneurs, and other industry leaders from around the world. The FINTECH SUMMIT, brings together BFSI decision makers that want to win in their industry by digitising processes, securing critical assets, analysing data and making tactical decisions. The International Waqf & Blockchain Forum, organized by Finterra, will showcase new opportunities and possibilities available through the use of blockchain technology to facilitate the development and sustainability of waqf. Recognized as the most notable expression of Islamic philanthropy, waqf is the voluntary, permanent and irrevocable dedication of a portion of one’s wealth – in cash or kind – to Allah. With the theme of “Harnessing the Power of Blockchain technology for the Global Development of Waqf”, this forum aims to serve as a platform to explore the boundaries of new waqf developments and initiatives. It will shed light on new thoughts and ideas, in the quest for transformation and management of a sustainable socio-economic path for Muslim nations across the entire globe. The overall objective of International Waqf and Blockchain Forum 2018 is to establish clarity and a collective understanding of the potential of blockchain technology for supporting the facilitation and development of waqf on a global scale whilst also promoting new economy alternatives to enhance Muslim unity. 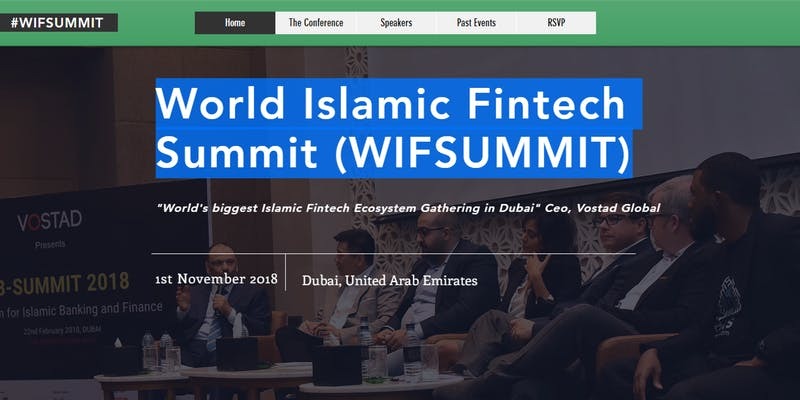 The World Islamic Fintech Summit, a one-day conference, is set to be a premium platform for international and regional fintech industry experts and the Islamic banking community to network and learn from informative keynote sessions, panel discussions and interactive dialog. The World Islamic Fintech Summit will explore and showcase the immense possibilities of the fintech in the Islamic domain. The summit will focus specifically on bringing together the regional and global Islamic fintech and banking ecosystem to understand and discuss about the future of a new age Islamic economy driven by digital innovation. Techstars Startup Weekends are 54-hour events designed to provide superior experiential education for technical and non-technical entrepreneurs. Beginning with Friday night pitches and continuing through brainstorming, business plan development, and basic prototype creation, Techstars Startup Weekends culminate in Sunday night demos and presentations. Participants create working startups during the event and are able to collaborate with like-minded individuals outside of their daily networks. All teams hear talks by industry leaders and receive valuable feedback from local entrepreneurs. The weekend is centered around action, innovation, and education. 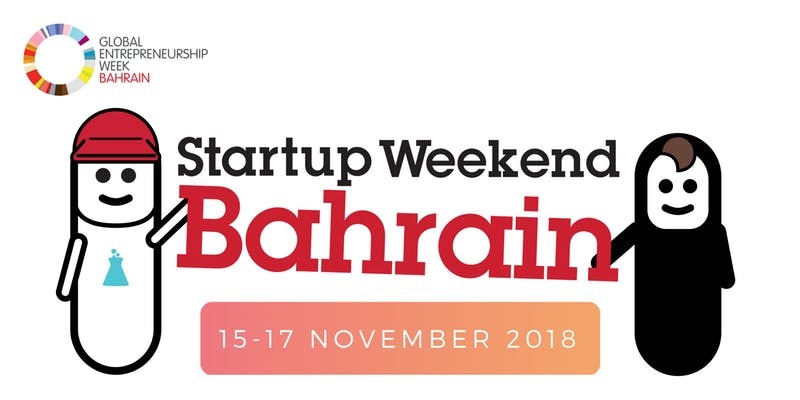 BlockOn is the most influential blockchain focused gathering in the world taking place in the Kingdom of Bahrain on November 22nd. By gathering the global community to investigate the challenges and opportunities of blockchain technology on multiple perspectives. This high-profile event is driven by the needs of the blockchain community, striving to bring together the best minds in the community. BlockOn aim’s to aspire the blockchain community to share ideas regarding collaboration, competition, culture and regulation needed for blockchain developments. With a uniquely designed itinerary, Blockchain enthusiasts of diverse backgrounds will find engagement in topics such as collaboration, competition, culture and regulation on Blockchain. Live panel and roundtable discussions will probe deeper into what it takes for Blockchain solutions to be successful and how this new and exciting technology can be applied for data integrity, trust and accessibility. Today, it is no longer sufficient to be a consumer of digital. To boost the myriad economic and social gains at the digital frontier, Bank and Financial Service Institutes (BFSI) must also develop the requisite technologies and associated human capital. As more and more millennial generation join the workforce and customer experience, digital technologies and innovation will continue to take a greater role in the way that banks function. Unlocking the full potential of digitization for Financial Sector will require comprehensive, concrete, collaborative action—and it must begin immediately. Join us as Saudi FinTech Forum will bring together 200+ business leaders and technology innovators from Banks, Insurance Companies, Brokers, Bancassurance, and Fintech Companies to collaborate on the re-invention of technologies, processes and products through digital transformation. We’ll explore how to increase efficiency and agility with operational excellence, while creating customer-obsessed experiences that grow revenue and re-invigorate your business. Blockchain Summit Dubai is a 1-day conference and exhibition connecting over 400 industry leaders, business decision makers, tech innovators, and investors. Blockchain Summit has grown exponentially in content and audience size. Based on unrivaled content and exceptional networking opportunities, Blockchain Summit Dubai is part of the largest dedicated Blockchain Event Series in the World. No co-located side events. A purely Blockchain focused audience. Join the Summit keynote programme for unparalleled discussion with visionary speakers. What Is Blockchain And Why Is It Important In Financial Services? What is blockchain and why is it important in financial services? the event, by Ateon Tech Co., will look at the development of fintech with a special focus on blockchain technology. The event will offer an opportunity for the audiences to better understand the technology. Speakers will also highlight specific use cases that can potentially impact the financial services, as known to us today. The emergence of FinTech holds promise for transformative economic change. It is time to outline Blockchain technology's ramifications for financial inclusion against the background of wider financial sector concerns. What is its promise for innovation? What role do policymakers and regulators play? At the nexus of financial technology and economic development, the 2018 Arab #FinTex Symposium provides a platform for policymakers and regulators, academics, and professionals from the fields of finance and technology. It will nurture an informed debate about regional and global developments in Blockchain technology and financial inclusion. A key outcome will be about identifying effective applications as well as conducive policy and regulatory approaches to financial technology (FinTech) that hold promise – or have proven successful – for transformative change in the Arab economies. Representatives from up to 22 countries in the region and beyond will join the event held by the FIARI Initiative (Arab Monetary Fund, GIZ, Alliance for Financial Inclusion, and World Bank) in cooperation with the Central Bank of the UAE from December 12-13, 2018. This is following global developments such as AFI's Sochi Accord about FinTech for Financial Inclusion and the World Bank-IMF Bali FinTech Agenda. The IFF Online Academy course, Focus on FinTech is delivered 100% online, with five modules delivered over five weeks. Jointly organised by the Hong Kong Special Administrative Region Government and the Hong Kong Trade Development Council, the Asian Financial Forum (AFF) brings together influential members of the global financial and business community for groundbreaking discussions and exchange of insights on the global economy from an Asian Perspective. MEFTECH the leading banking and financial technology exhibition and conference returns to the Kingdom of Saudi Arabia from the 24th and 25th February 2019 at the Four Seasons Riyadh Hotel, in partnership with MADA and SADAD and supported by STC Pay. Bringing together 2000-3000 attendees in Riyadh, MEFTECH 2019 is the new FINTECH Hub in the Middle East. MEFTECH will address disrupting technology for all verticals of the financial environment attracting banks, financial institutions, e-commerce, medical, retail, hospitality, manufacturing, educational, travel and transportation industries; and this year’s exhibition and conference will extend across 3,500sqm. MEFTECH 2019 will have a dedicated start-up zone to meet groundbreaking start-ups in the regional commerce space, a world-class conference programme of international speakers tackling the most significant opportunities and challenges such as digital banking, revolutionizing remittance and hanging risk with AI. Registration for attendance at the second edition of MEFTECH which has brought together more than 8,000 financial industry executives and over 1,000 technology providers is now open. To register your interest and attendance visit www.meftechksa.com. IDC is all set to host the 12th edition of Middle East CIO Summit 2019, under the theme “Strategies for an Era of Multiplied Innovation & Automation” scheduled to be held from 27th – 28th February 2019 at JW Marriott Marquis, Dubai. The event is expected to witness a footfall of respected global analysts, market-leading vendors, and 200 of the region's most influential ICT leaders to lay down a blueprint for thriving in the digital economy. IDC's Middle East CIO Summit has served as a pioneering platform for ICT thought leadership in the region since 2008, and returns in 2019 to make sense of the region's rapidly evolving digital transformation landscape. 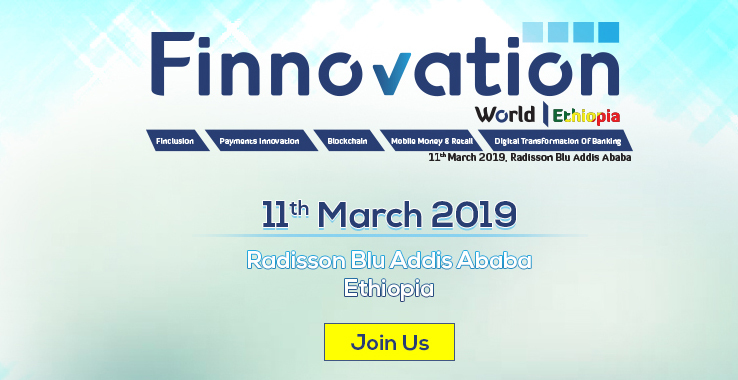 Finnovation Ethiopia 2019 will be held at the Radisson Blu Addis Ababa on the 11th of March 2019 and will tackle the most pressing questions for the progress of FinTech and the positive and proﬁtable transformation of banking in Africa, providing a platform for all stakeholders to engage in creating the future of ﬁnancial services on the continent – from established banking powerhouses to FinTech start‐ups. The event will gather all players in the African FinTech ecosystem, including: Government policymakers, leading banks & ﬁnancial institutions, MNOs, legacy and neo payment players, international & regional investors, and the tech start‐up community on the continent who will come together at Finnovation Africa 2017 in Ethiopia with the purpose of driving positive FinTech impacts for Africa. Finnovation Ethiopia 2019 will focus on the following major issues: The Digital Transformation of Banking, Mobile Money & Retail, Payments Innovation, Open Banking/APIs in Africa, Finclusion & Islamic Finance, Blockchain & Bitcoin: Realities in Africa, and CyberSecurity ‐ as well as featuring sessions with a highly innovative format such as Inside the Investor’s Mind, Interviews with a Global Finnovator and an African Pioneer, Founder's PainPoints, and The Wolves’ Den pitchfest. Tap into the high-growth Africa FinTech opportunity by becoming a part of the Finnovation Ethiopia 2019 - Let's Talk Now! Innovation and digitalization are reshaping the financial industry model over the past decade. The banking sector remains under pressure as technology is impacting every industry and the payments sector is no exception. With evolving customer demand, banks and financial institutions have to invest in digitalization to stay ahead of the game. With regulatory support to embrace a cashless society and encourage new entrant innovative FinTechs, financial services providers must focus on digitalization by redesigning their user experience, get their basics right to improve customer convenience. Banks struggling today in implementing digitalization and to provide customers with a frictionless experience and seamless checkout processes will eventually witness the rising FinTechs taking the lead. The question is, do banks collaborate, or do they compete? The Financial Innovation Summit brings together the who’s who from the local and international banking and FinTech industry to share their experiences and use cases digital transformation which would lead to a cashless society. Investing fully into Digital Financial Technology for economic diversification as per the National Vision 2030. Enhancing Regulations in an effective manner to attract FinTech development, innovation and digitalization. Positioning Qatar to become a fully cashless society by the FIFA World Cup 2022 to promote world-class digital banking facilities. Developing a FinTech hub by end of 2018 in partnership with international Tech Giants and Platforms to enhance the financial sector’s digital offerings and opportunities. Becoming one of the secured banking and financial services industry in the world by maintaining the best cyber resilience and security standards. Effectively utilizing advanced digitalization such as AI, RPA, IoT and much more to enhance the customer’s banking experience across all business verticals. The second edition of the Future Blockchain Summit, the world's largest blockchain festival brings to the forefront government visionaries, blockchain revolutionists, startups, investors and the brightest disruptors to marry business sense with opportunity and set the global blockchain agenda. 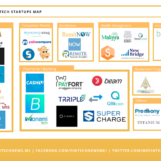 Launched in 2017, AIM Startup, an initiative of the UAE Ministry of Economy, aims to connect promising startups with investors and business partners from all around the world. It is set in the heart of UAE's Annual Investment Meeting, the World's Leading FDI Platform for Emerging Markets and held under the Patronage of H.H. Sheikh Mohammed Bin Rashid Al Maktoum, UAE Vice President, Prime Minister and Ruler of Dubai. AIM Startup is the ideal platform for startup companies looking to raise capital, expand into new markets and forge meaningful business relationships with major investors, business leaders, representatives of international institutions and government entities. On April 8-10, AIM Startup will host the Third Edition of its Annual Innovation Showcase and Pitch Competition in Dubai, United Arab Emirates, in conjunction with the Annual Investment Meeting and Future Cities Show. This year, 500+ promising startups will convene under one roof to meet with investors, corporates, government representatives and industry experts and will be given the opportunity to demonstrate their ground breaking solutions to a global audience over 20,000. The Annual Investment Meeting is the world's leading and most established gathering of the international investment community, leading academics and experts showcasing up-to-date information, strategies and knowledge on attracting Foreign Direct Investment (FDI). The event offers a truly knowledge-based forum with cutting-edge information on the latest developments in foreign direct investment and related issues. It serves as a unique platform to meet, network, and exchange experiences, explore business opportunities and sign cooperation agreements and partnerships. Included in its 9th Edition are the following features: Conference, International Exhibition, Capacity Building Workshops, AIM Startup, Investment Awards, AIM Connect, Investors’ Hub, Country Presentations, and Online/Onsite Business Matchmaking. 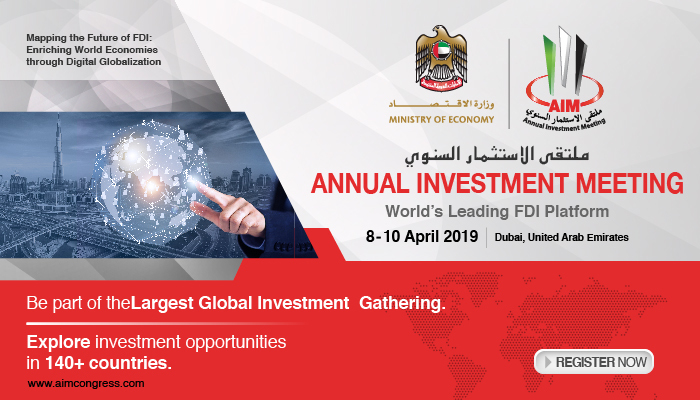 The ninth edition of the Annual Investment Meeting will be held on 8 – 10 April 2019 at the Dubai, United Arab Emirates. The theme is “Mapping the Future of FDI: Enriching World Economies through Digital Globalization”. With over 10 000 visitors, 400 speakers and 350+ exhibitors, Seamless brings the brightest minds together from across payments, e-commerce and retail. Seamless ignites new ideas and inspires the audience to think differently. You’ll be stimulated by innovators, business leaders and entrepreneurs from across the globe. Seamless has five separate conference agendas covering the world of Payments, Fintech, Ecommerce, Retail and Identity. With one shared free-to-attend exhibition hosting 350 of the region's leading technology providers. The event is held in Dubai International Convention & Exhibition Center, UAE, on 10-11 April 2019. This topic is one of the most exciting and stimulating financial crime courses in our portfolio. Accredited by the CPD certification service and delivered in association with the University of Gloucestershire, the course aims to demystify the management of virtual assets (VA), also known as cryptography and Distributed Ledger Technology. The course is designed to support risk professionals, anti-money laundering ,laundering professionals and VC industry practitioners in understanding more about the development of (VA) and how to manage associated financial crime risks. Core learning is provided via a detailed course manual, with additional media providing further help and guidance on some of the course’s key learning points. To confirm learning and understanding, all students are required to complete a timed one-hour online assessment made up of 25 multiple choice questions. The pass mark is 80% and the format is open-book. The course is delivered in association with the University of Gloucestershire, and students who are successful will be permitted to use the designation ‘AdvCertVC’ to confirm their qualification. *Students can start the course as soon as they enroll and it is self-paced so they can do it in their own time. FutureSec, Saudi’s first Banking Information Security Summit will be hosted in Riyadh, Saudi Arabia on 17-18 April 2019 bringing together leading regional and international banking information and security officials to uncover latest ways to secure information, shape IT functions and drive technology implementations for their most critical security initiatives. The summit will also bring together several solution providers and technology innovators to share their customer success stories and case studies with 150+ banking leaders &amp; stakeholders from over 10+ countries. We are a leading Fintech News outlet. If you want to get featured contact us. © 2019 Copyright CK Finanzpro Ltd . All Rights reserved.